Graveside services for Byron Kirkland, 81, of Lufkin, will be held Friday, January 18, 2019, at 3:30 p.m., at Baker Lain Cemetery in Cleburne, Texas. Mr. Kirkland was born January 12, 1938 in Cleburne, Texas, the son of the late E.T. Kirkland and Mary Alice (Burton) Kirkland, and passed away Tuesday, January 15, 2019 in Lufkin. 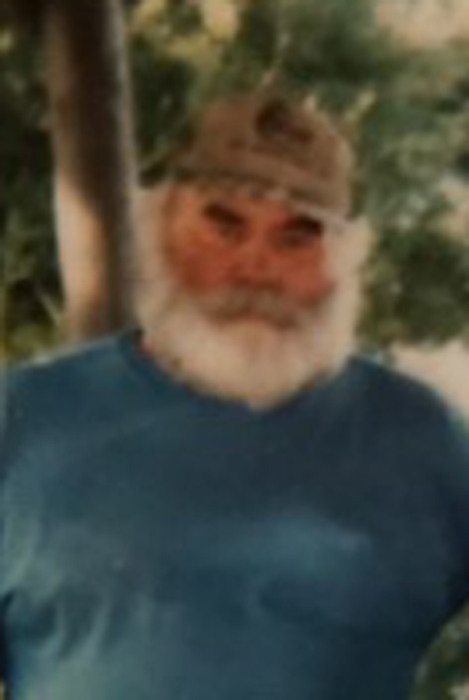 Mr. Kirkland was an avid fisherman and hunter and especially loved quail hunting.. He enjoyed farming in his younger days. Mr. Kirkland served with the United States Air Force and was a member of the Kopperl Masonic Lodge. Mr. Kirkland is survived by his wife of 57 years, Geneva Kirkland of Lufkin; daughter, Deborah Taylor of Lufkin; daughter, Tammy Bailey of Lufkin; son and daughter-in-law Kirk and Lisa Kirkland of Trinity, TX; son and daughter-in-law, Joseph and Cindy Kirkland of Harlingen, TX; daughter and son-in-law, Marsha and Dan Choate of Lamesa, TX; grandson and wife, Jacob and Maxine Bailey of Lufkin; granddaughter, Stephanie Bailey of Lufkin; grandson, Ryan Kirkland of Trinity, TX; granddaughter and husband, Megan and Gerald Richards of Lufkin; granddaughter and husband, Miranda and David Isham of Lufkin; grandson and wife, Dustin and Mindy Paulson of Lufkin; granddaughter, Donna Jackson-Greg Good of Florida; grandson, Lewis Jackson of San Antonio, TX. ; Robbie Jackson of Grand Prairie, TX; grandson, Joseph Taylor of New Mexico; grandson, Calan Kirkland of Harlingen, TX; grandson, Cadan Kirkland of Harlingen, TX; granddaughter, Alexis Choate of Lamesa, TX; grandson, Zane Choate of Lamesa, TX; grandsons, Caleb Cordell and Canaan Cordell both of Harlingen, TX; along with numerous great-grandchildren. He was preceded in death by his parents; brother, Paul Roye; and sister-in-law, JoAnn Roye. Pallbearers will be Jacob Bailey, Ryan Kirkland, Bllade Early, Dustin Paulson, Kirk Kirkland, Johnny Roye, Terry Roye, and Paul Roye. Honorary pallbearers will be Bill Early, and Glenn Imken. Visitation will be from 1:30 p.m. to 2:00 p.m., Friday, January 18, 2019 at Crosier-Pearson Cleburne Funeral Home, prior to the graveside service.